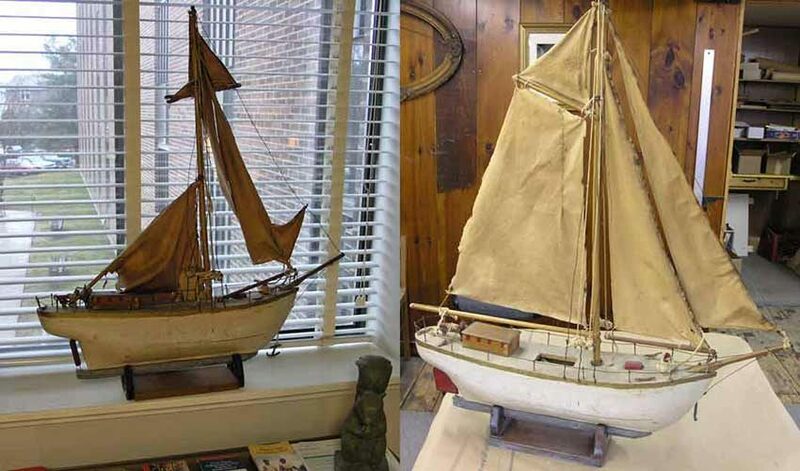 Vintage and antique model sailboats make great decorative objects. On occasion I have an opportunity to restore one. 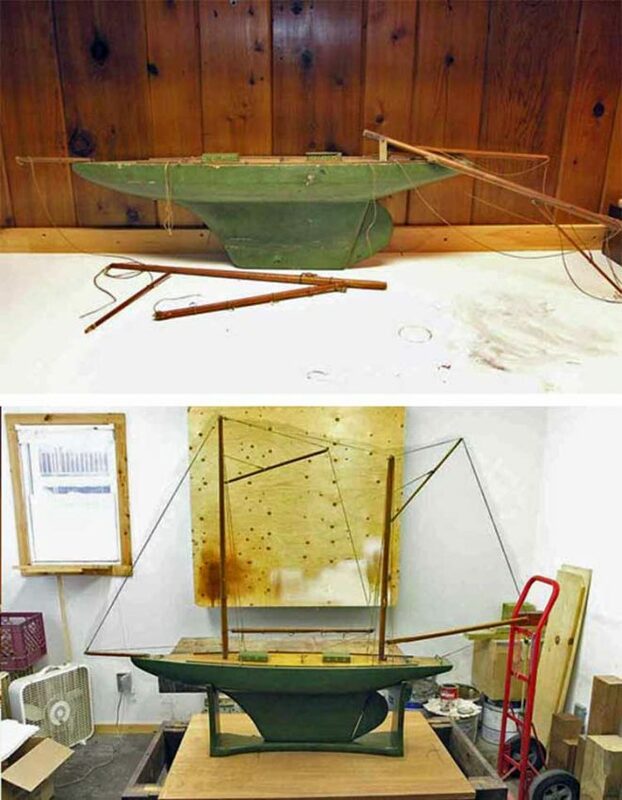 The model schooner below also needed a stand, which I was able to fabricate and finish to match.